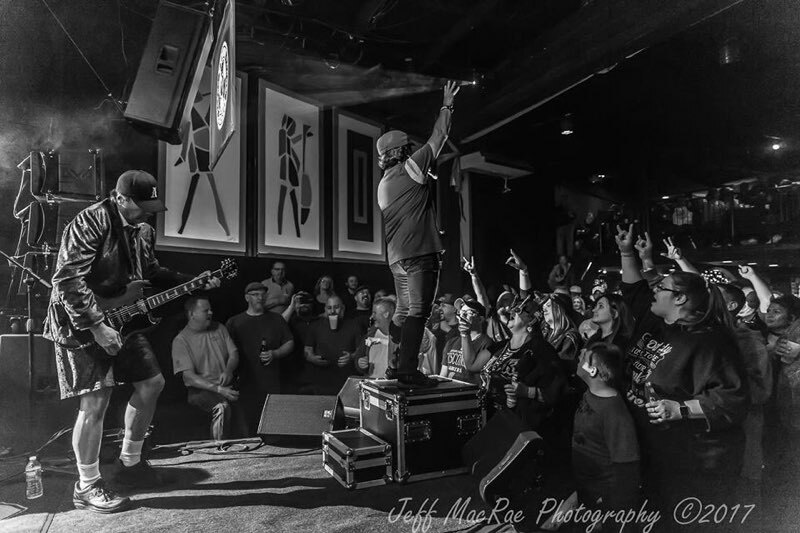 Dirty Deeds The AC/DC Experience out of Boston, MA, has been touring the country for over 20 years bringing forth their high energy and wildly entertaining tribute to one of the world’s best rock bands, AC/DC! Dirty Deeds’ performance revisits all of the timeless AC/DC hits along with a theatrical ride through rock n’ roll history bringing you back to the early music that was at the roots of AC/DC’s rise to stardom. Earning a reputation for their attention to detail and passion for AC/DC, Dirty Deeds The AC/DC Experience recreates the exact sound of AC/DC by performing the songs authentically note for note along with capturing the unique and exact tone that the super group has come to be known for. On stage, Dirty Deeds mimic the antics and appearance of AC/DC in such a way that will keep you wondering if you’re experiencing the real thing! Making use of interactive video, lighting, and fully functional props, Dirty Deeds recaptures the theatrics of an AC/DC concert in its entirety! Truly an experience, unlike any other! A true audio and visual experience, Dirty Deeds invites you to take part in a few hours of pure Rock n’ Roll escapism as they take the stage and pay tribute to one of the greatest bands of our time.